The compact, stylish design of the FAX-575 makes it an ideal choice for personal use and light volume fax applications. 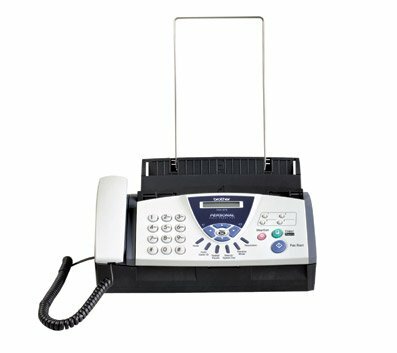 This fax machine is capable of receiving fax and voice calls on the same telephone line which saves the expense of separate phone lines. It even has a built-in interface to connect an external phone or answering machine.